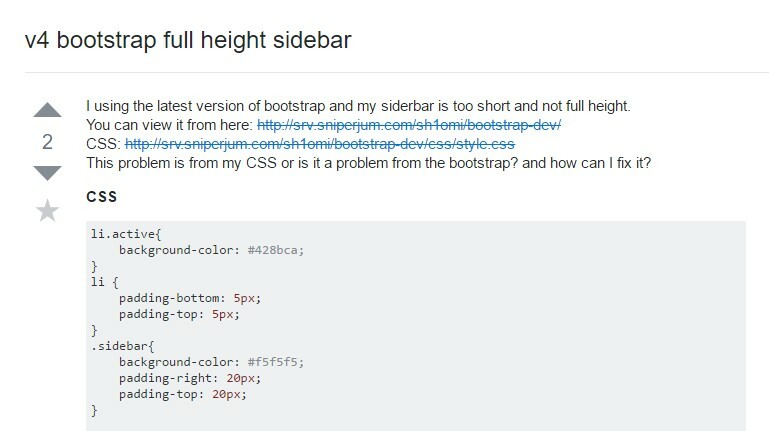 Throughout the the majority of the pages we currently discover the material stretches from edge to edge in width with a handy navigation bar above and simply just easily becomes resized when the identified viewport is hit so somewhat the showcased web content fluently utilizes the full width of the page accessible. Even so at a particular instances the desired target the pages ought to work in require together with the fluently resizing content place an additional section of the available display width to get specified to a still vertical element together with several web links and material in it-- in other words-- the widely known from the past Bootstrap Sidebar Menu is needed. 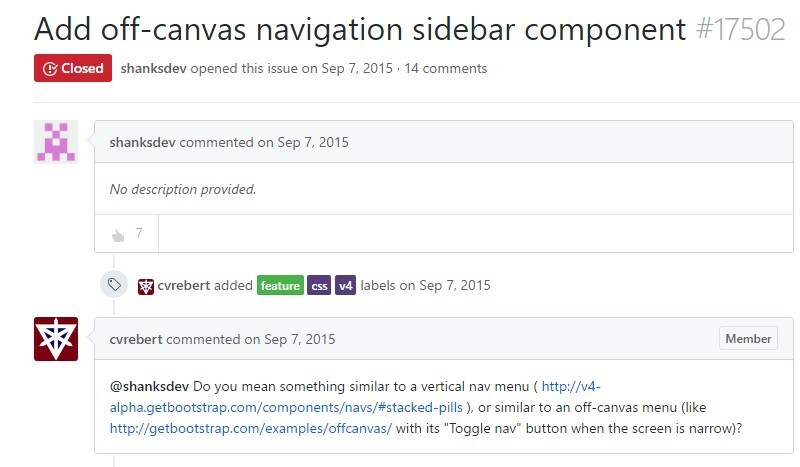 This is pretty old technique however in the event that you actually need to-- you can certainly generate a sidebar feature with the Bootstrap 4 framework that together with its own flexible grid system additionally deliver a couple of classes designed specifically for creating a secondary rank navigation menus being really docked throughout the web page. However let us begin it easy-- via simply nesting some columns and rows -- It is presumed this perhaps the easiest tactic. And by nesting I indicate you can surely gave a .row feature put within a column one-- it commonly performs the identical method except for the attainable columns in a single line restriction-- in the case that you nest a row inside a column you have the ability to have up to the column's width spanning inner columns within it prior to they wrap to a new line. First and foremost we need a container component to hold the rows and columns and due to the fact that we're developing something a bit more complicated the .container-fluid class could be the appropriate one to attach it to-- by doing this it will certainly regularly spread over the whole viewable width provided. Next we demand a .row to wrap the fundamental system into which in our instance would certainly be a wide column for the material and a smaller sized-- for the sidebar-- let's say we'll break up the width in 9 by 3 columns in width. In this way the 1st column element should hold .col-md-9 and the second one - .col-md-3 class applied. Next inside these columns we can just make some extra .row features and fill them up up with a number of material making initially the main webpage and after it-- the materials of the sidebar just like two smaller sized pages laid out side by side. 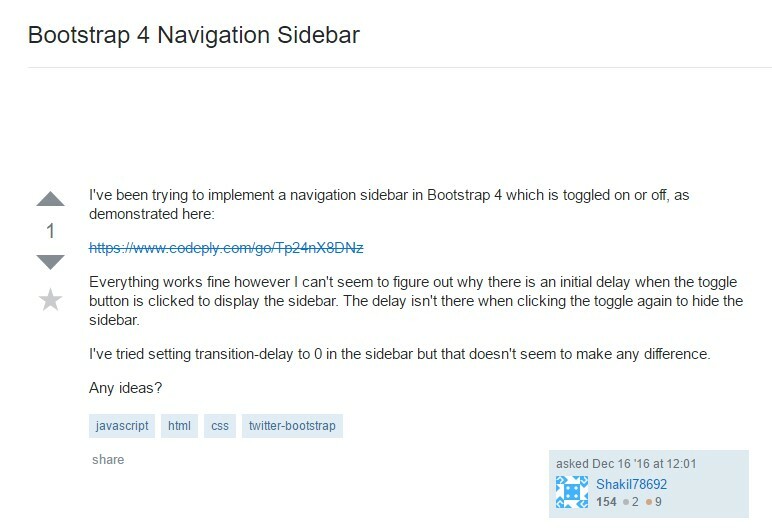 Also in the event you need to create a sidebar navigation menu together with the needed .col-* class you have the ability to delegate it the .sidebarclass and wrap the web page's main information into a <main> element putting it the rest width with a .col-* class and appropriate offset equal to the sidebar's width to ensure the nicely display side by side.